Nextiva Drive customers can update their billing and security information, and access the Drive portal from the Nextiva Billing Portal. Log into the Drive Billing portal HERE and enter the username and password provided in the welcome email. Select the check box under Password, acknowledging that you have read and accepted the Nextiva Terms & Conditions, and select Log In. Once you log into the Drive Billing Portal, you will be prompted to change your password, setup a security pin, and answer two security questions. This is the password to log into the Billing portal. 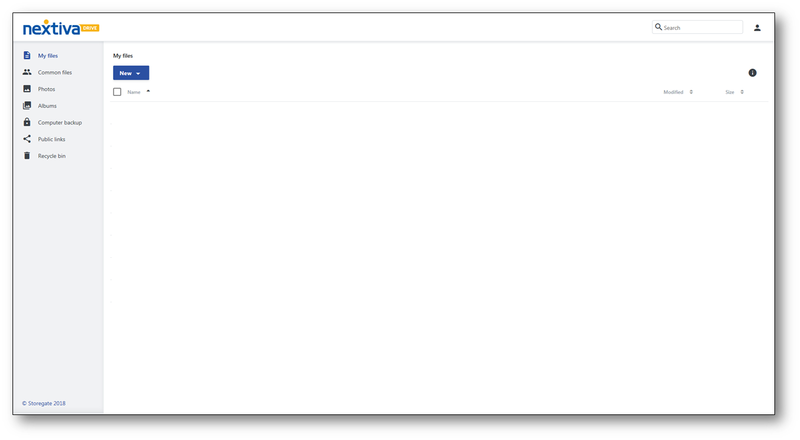 Enter the password provided in the welcome email in the “Current Password” field. Enter the new password, make sure the new password is between 6-12 characters, contains at least one digit, one uppercase, and one lowercase character. The security pin authorizes any changes or updates on the account when contacting Nextiva. You must answer your Security Question to view your security pin within the Drive Billing Portal. Select the drop-down and select Question 1 & Question 2. Answer the Security Questions selected. Now you can manage your billing and security information. Displays your account name and account number (Figure 1-1). View all billing history and recent charges for a selected time frame (Figure 1-2). 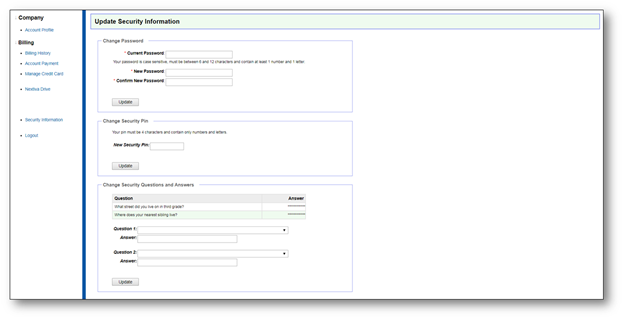 View and process your subscription fee payment (Figure 1-3). Update your current credit card and billing address. If you would like to add a new credit card, select Add New Credit Card on the top right corner and fill out all the required information. 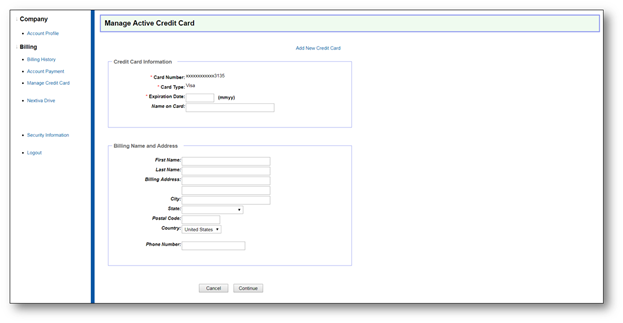 When completed, select Continue to save your new credit card information (Figure 1-4). 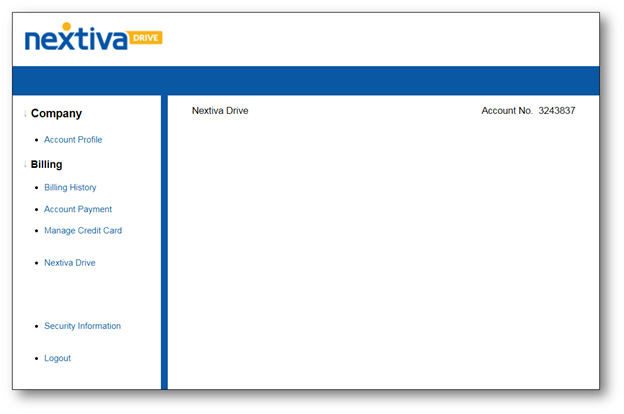 Access and manage your Nextiva Drive portal directly (Figure 1-5). Update your password, security pin, and security questions. You can also select Forgot Your Pin? at the top left corner to view your Security Pin. You will then be asked to answer your security question and your PIN will then be displayed (Figure 1-6).